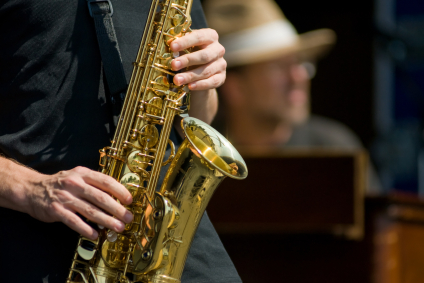 Here are a few of the top characteristics of an improvisational culture. How many does your organization have? Here’s the good news. Cultures can become more improvisational. Whether it’s a slow change over time, or a rapid transformation (with the right guidance). I like the idea of improvisation – and it hits the resilience/flexibility thoughts on organization strategy. As someone with a music major, I often think about how jazz (in particular) supports and guides improvisation. There are rules and there are boundaries, but space is given to work out an idea as it happens. I’ve been at many a performance where a soloist is encouraged to continue and take another chorus or two and work out his idea. The band hears what the musicians is trying to convey and pushes them forward through the band (and audience) support, there soloist and band are listening, encouraging, and pushing each other to innovate and explore. The best sample of this is Miles Davis’ “Kind of Blue” probably the most brilliant study of leadership and teamwork ever recorded and the back story is a powerful metaphor. Your 6 examples give a good space to bring this from the space of the stage to organization – another form of the stage. The concepts of this kind of deep listening to each other, supporting the exploration, and even pushing for innovation, are all key to an improv culture that can innovate, adapt and entice the people who fit the best to work there. By the way, love Csikszentmihalyi’s books and thoughts. He brought the suggestion to me to read poems before going to sleep. Reading, and learning to read, poetry is a great way to explore a new facet, cadence, and wordplay, while turning off the day’s drama. I love saying his great Hungarian name at least once a day, just to keep me on my toes. 6 people who took the poll said that their organization has all 6 of the Improv Culture characteristics. I’d love to know the 6 companies that are jammin’! Csikszentmhihalyi’s work is a great reference. Your checklist provides a simple way to constantly measure performance. Thanks for providing these ideas. It’s my pleasure, Tim. Thank you for your post. I find that these are good signs of a healthy organization that can flex as it needs to. In addition, Core purpose and key Guiding Operating Principles (as opposed to policies) help organizations reach this stature.